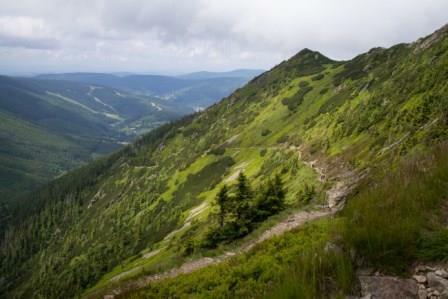 A 5 day walk through the National Park Karkonoski in the south of Poland. 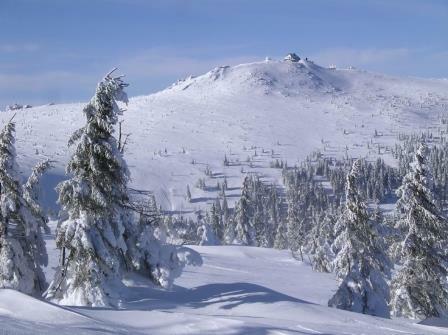 "In Czech Krkonose. 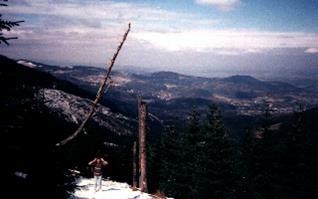 Karpacz is situated at the foot of the Snezka (1602 m.). Our route followed partly the old customs-road (or Roman road) along paths full of snow, mountain sides with high winds, but also fantastic views, impressive, rough rocks masses and possibilities to have a quick lunch at the Czech site of the mountains."